Identity theft is one of the major problems that have plagued developed countries since the introduction of internet in banking systems. According to a recent study, it was found that more than 20 million people across the US fall prey to Identity Thefts. Hence, it is certain that identity thieves and hackers are always at a prowl for loopholes in your security. Nevertheless, there are also various ways to protect your personal details and funds from being stolen. But most experts and authorities recommend ‘Credit Freeze’ as the best protection against identity thefts. Also known as Security Freeze, Credit Lock Down and Credit Lock, Credit freeze is a security measure offered by all the three bureaus that maintain your credit report. The credit freeze locks the access to your credit reports and personal data, until you allow it through a personal identification number (PIN). So in case anyone tries to open an account in your name, the credit bureaus will deny any credit unless you personally verify the access. Although most experts and agencies recommend credit freeze as the best protection against identity theft, it should only be used when necessary. Once you put a freeze on your account, you have to personally request your credit reports each time you wish to check them. Listed below are some reasons why you would want to set a freeze on your Credit. Credit Freeze is best used when you feel that someone has accessed your personal details without your permission. This could be a case of a stolen wallet with all your credit and debit cards, or your internet account has been hacked by someone. As soon as someone tries to misuse your personal details, the bureaus will deny credit and prevent someone from opening an account in your name. There might be instances such as flying out of the country etc. when you do not need to apply for any loan or credit for a long time. In such cases, the best way to keep people from misusing your personal details while you’re away is by putting a credit freeze. You do not want to spend your vacation in Venice being plagued by phone calls about your identity being stolen. Putting a credit freeze is a surefire way to protect your details while you focus on your time abroad. Credit inquiries by various lenders can lower your credit scores. Also, the various soft inquiries by mortgage lenders who try to sell you preapproved loans can be a little frustrating. Even if you use a fraud alert with your Credit Card Company or bank, you won’t be notified about the credit inquiries and by the time any fraud is reported, it might be too late. If you dislike the idea of others checking on your credit reports without your permission, Credit Freeze is one of the best options. Credit Lock is free for most people or would only require a nominal one-time fee of $10 to be activated. As compared to the hefty amounts that people pay the credit monitoring agencies, Credit Freeze is certainly a far more economical and reliable option. Unlike the other ways to prevent identity theft such as hiring credit monitoring agencies, installing new security softwares or applications, Credit Lock doesn’t require any regular subscription. It can be set at one of the three bureaus and they will inform the rest of the agencies. Some states also provide free credit freeze for people who have been victimized by identity theft. 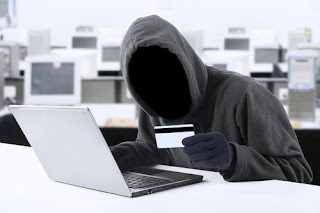 Robert Siciliano Blog – The is one of the most advanced blogs on identity theft. Stay always updated. How to Prevent Identity Theft – Elite Personal Finance – One of the most advanced article, with 100 great tips on how to prevent identity theft. No matter how safe we feel, identity theft is a real threat that can strike without warning. The above points prove how effective Credit Freeze is at keeping your personal data from being compromised and misused.